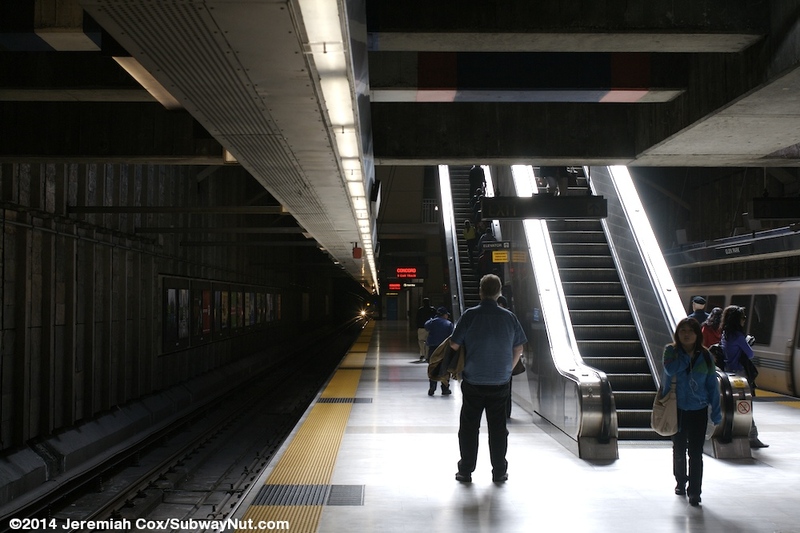 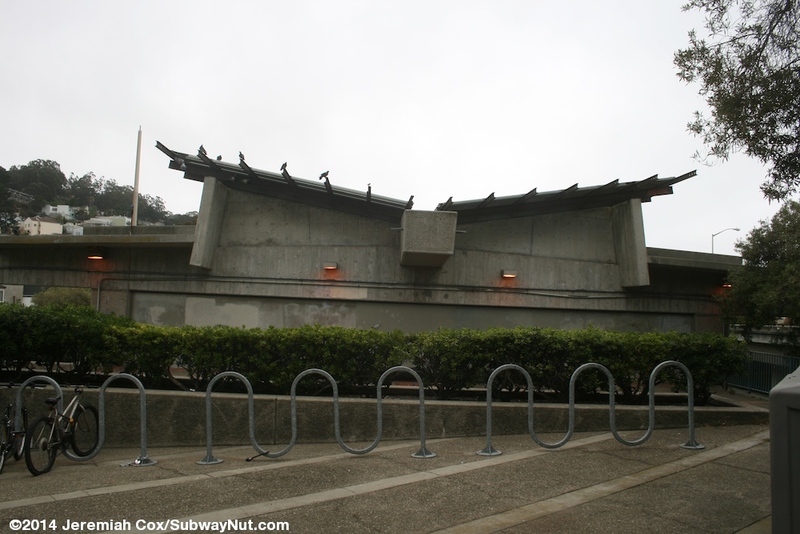 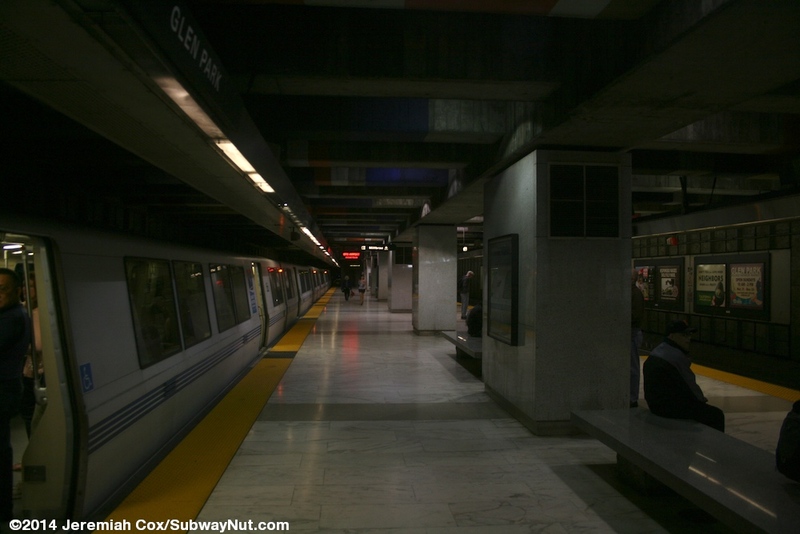 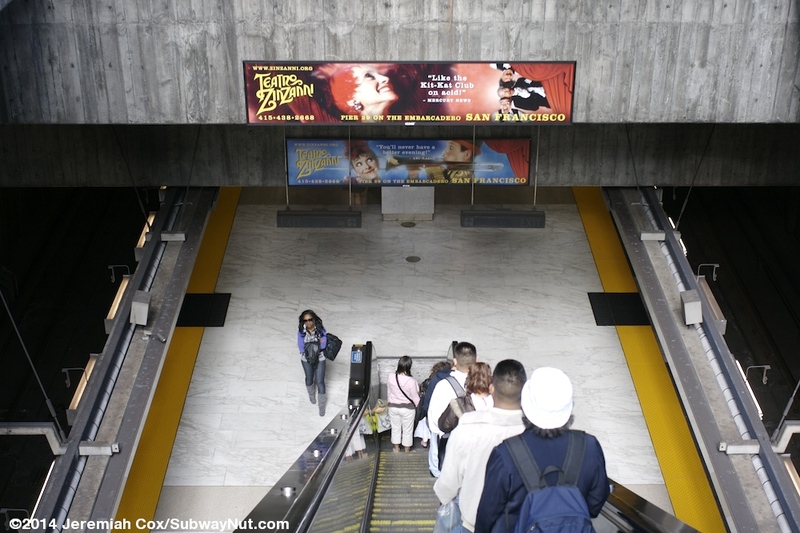 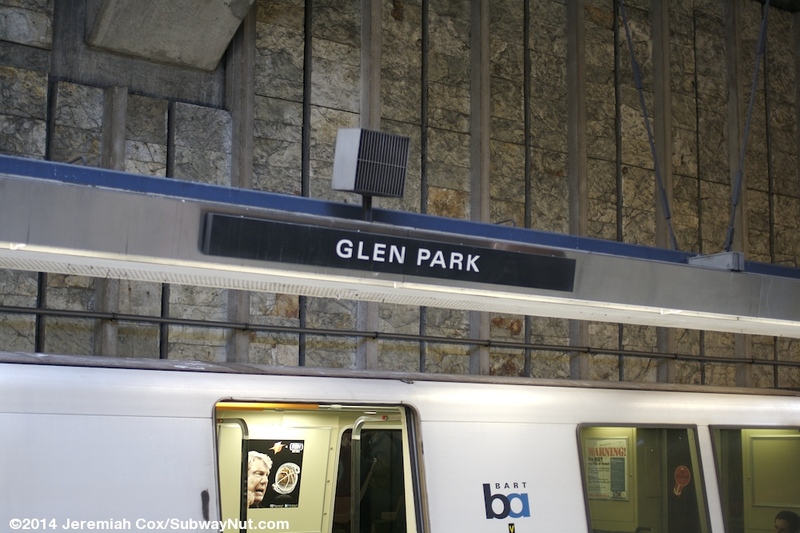 Glen Park is an underground BART station in southern San Francisco. 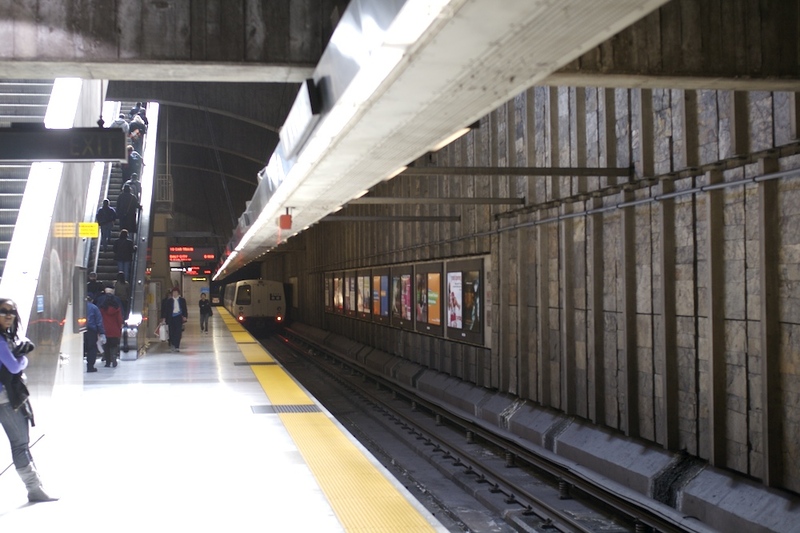 The station has the usual single island platform for the two-track line and opened on November 5, 1973. 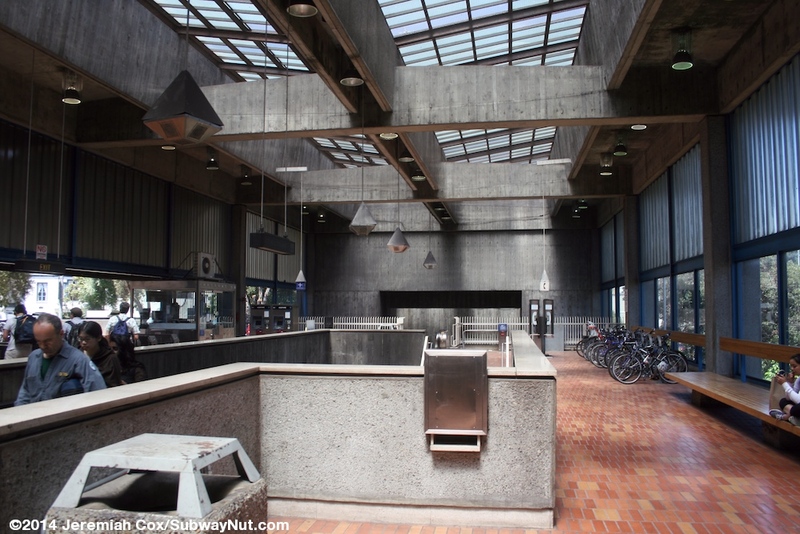 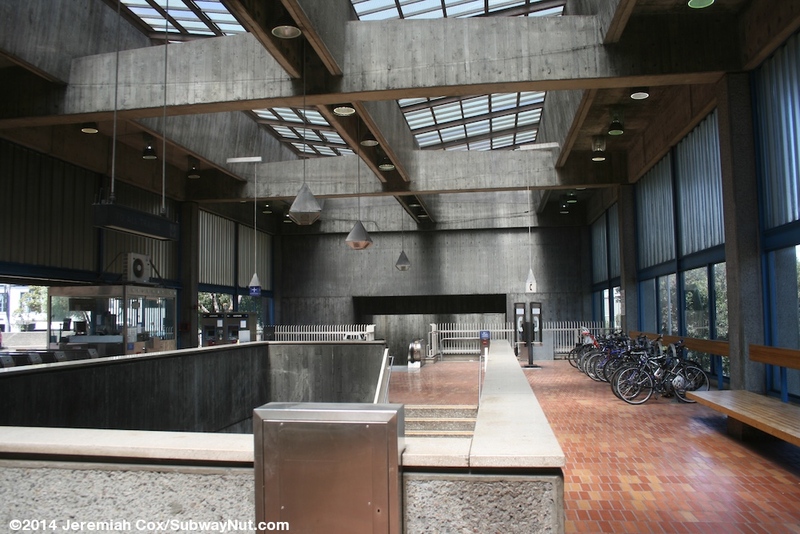 The station is a prime example of the brutalist style and is full of bare concrete, it is quite deep at 60 feet beneath the surface but the square concrete station house located at street level (no intermediate mezzanines) allows sunlight to reach down to the platform and passengers notice the depth on the two escalators, staircase and elevator that provide vertical circulation. 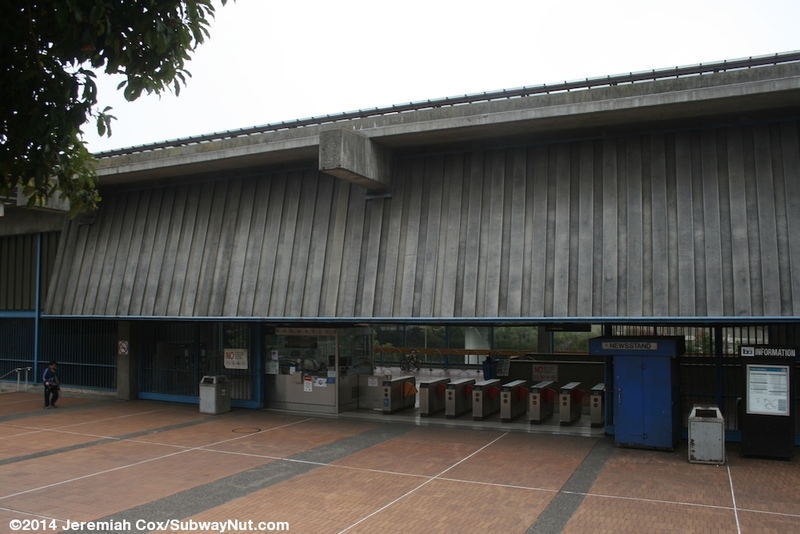 The station house is located in a triangular plaza bounded by Bosworth Street to the north, Diamond Street to the west and busy San Jose Avenue along its SE side; I-280 is just beyond. 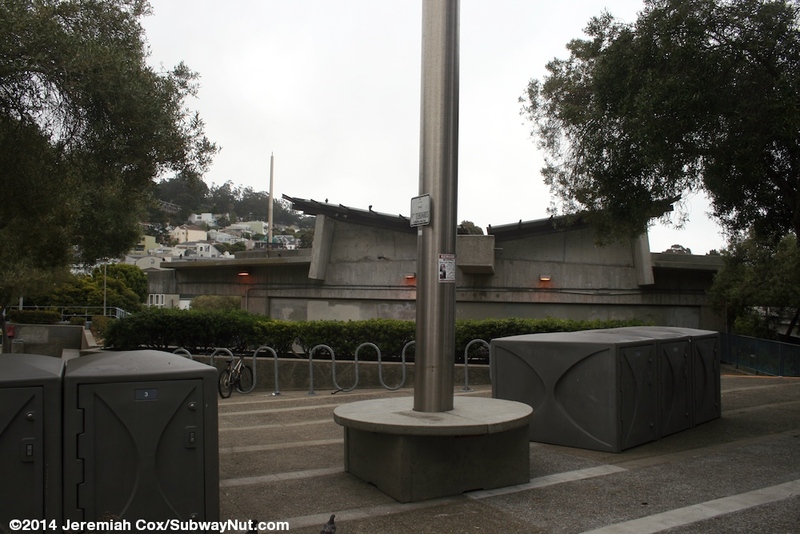 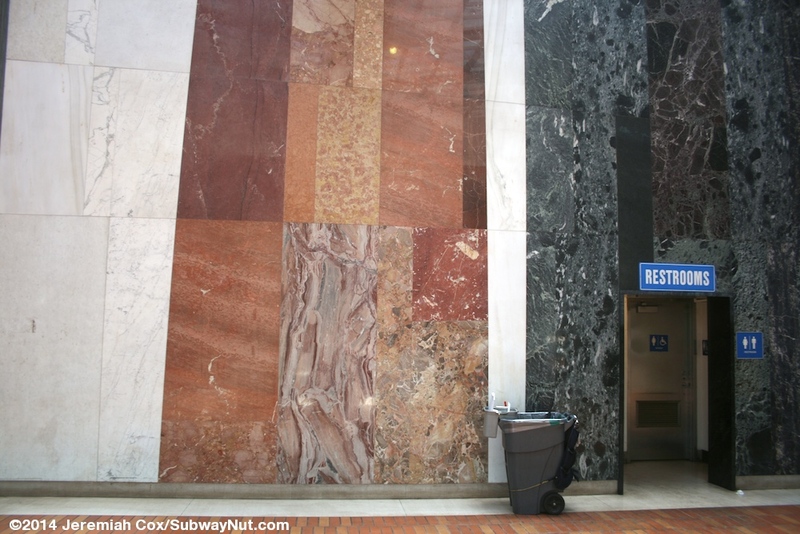 The landscaped plaza has two sets of fare gate areas on its north and west sides. 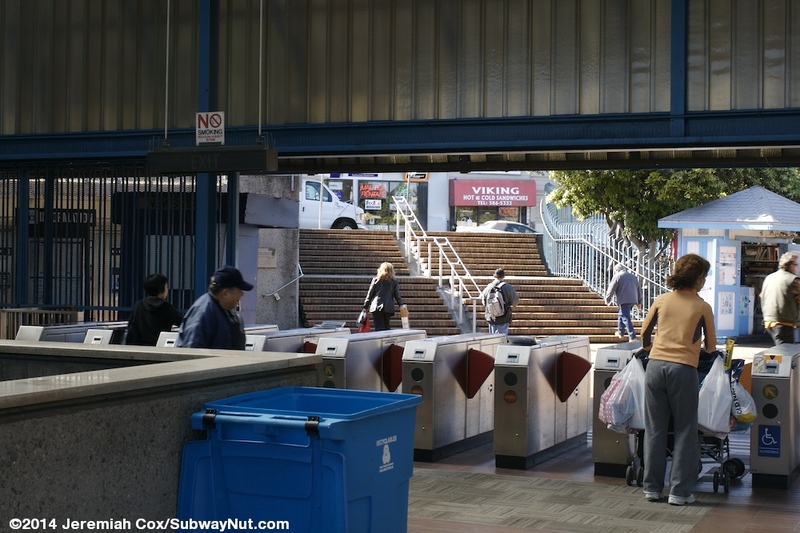 After leaving fare control passengers must continue up ramps and steps in the plaza outside the station to finally reach the surface. 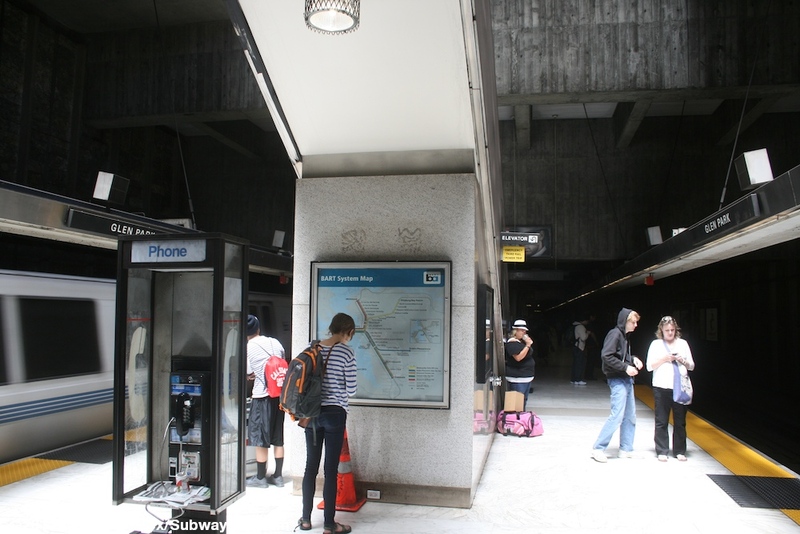 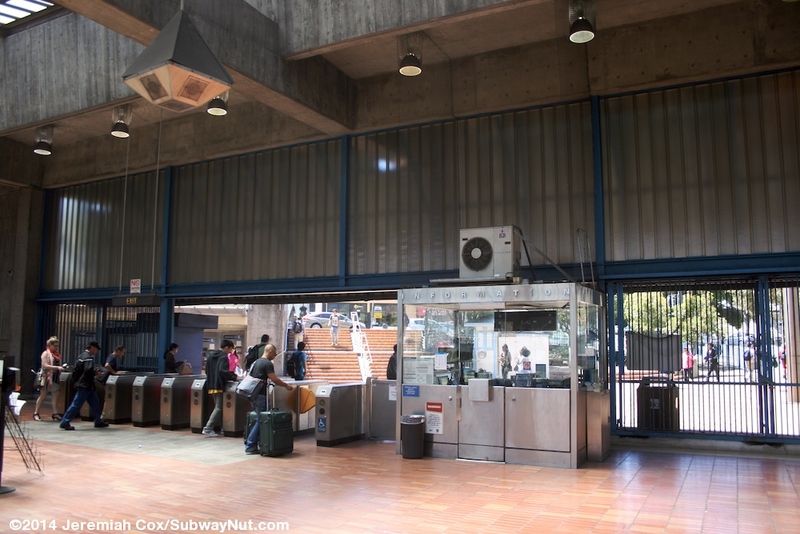 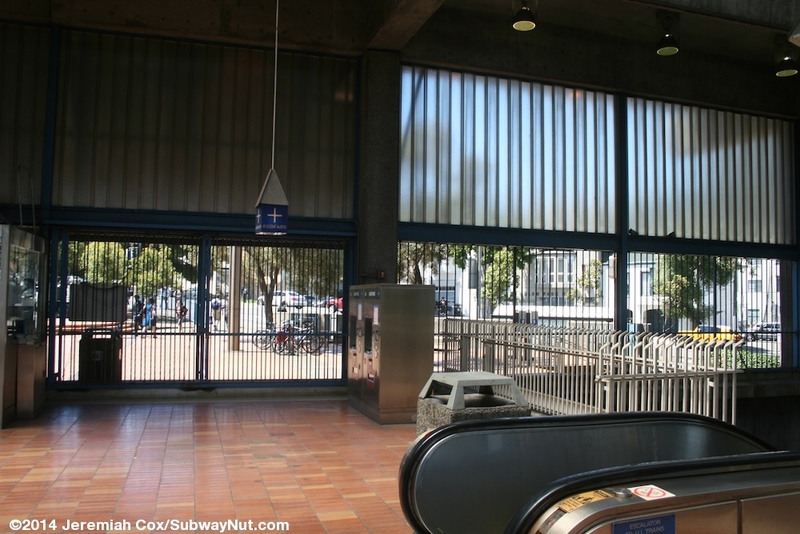 The MUNI J Line is located in a private ROW the middle of San Jose Avenue near the station that resembles a freeway. 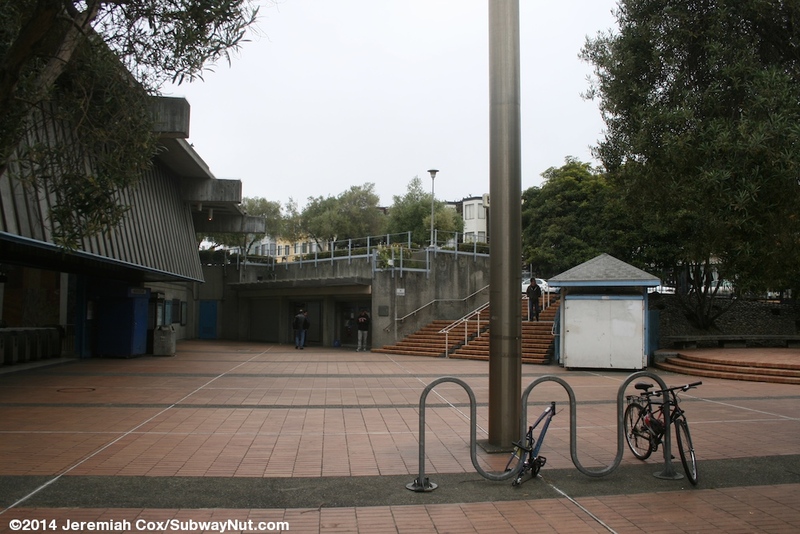 It's Glen Park stop is accessed via a footbridge covered in graffiti with separate staircases down to the platform. 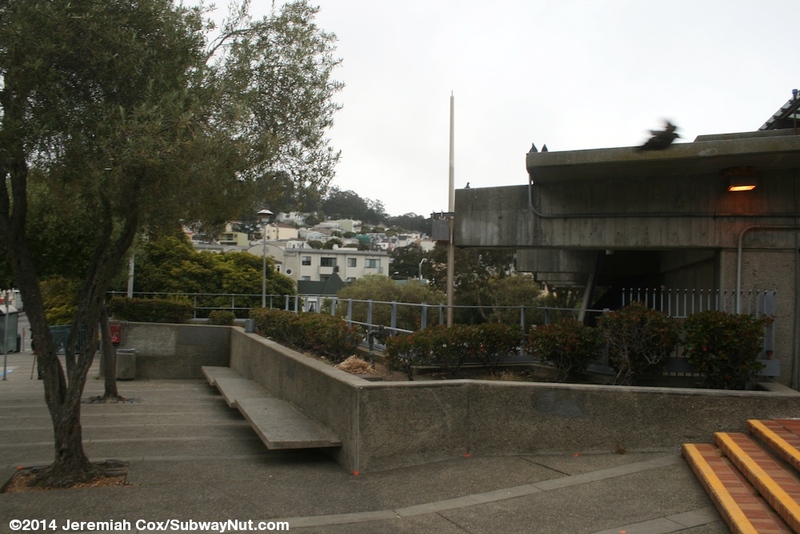 This footbridge starts across Monterey Blvd behind the station. 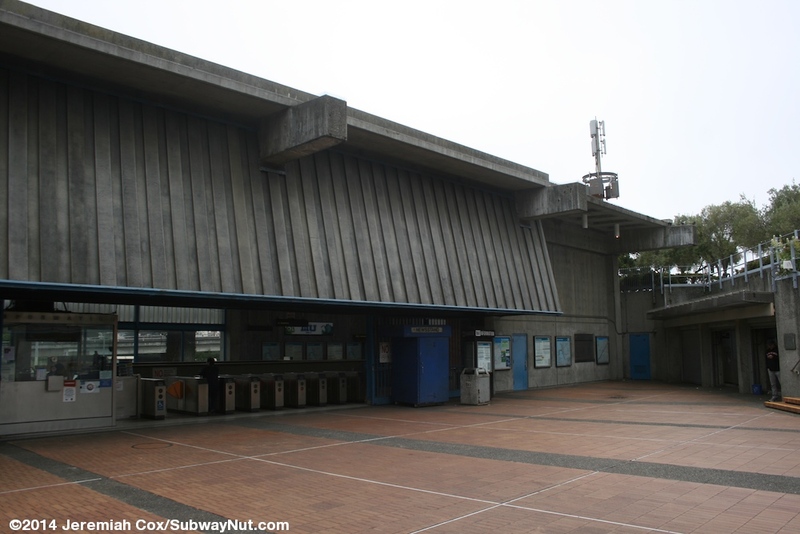 The station is also the only stop in San Francisco with a parking lot. 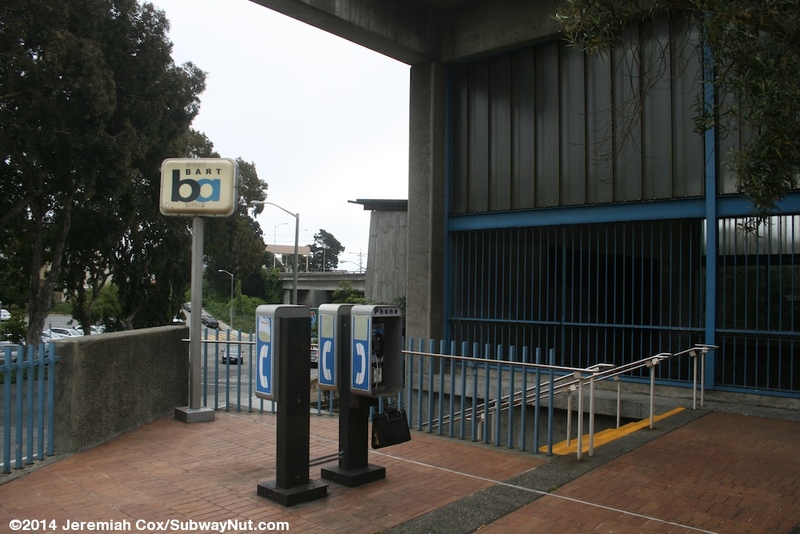 There is a small 53 space lot with unique restrictions of 5 hours of free parking only after 9am (its closed before 9am) across Bosworth Street from the station.